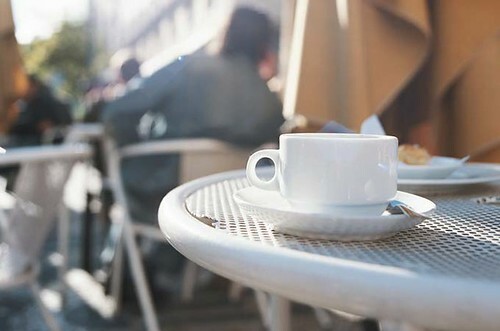 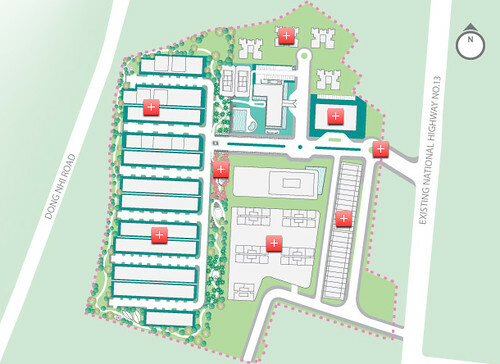 VNRE – EcoXuan is a 10.8 ha boutique development created to provide discerning residents with a complete lifestyle. 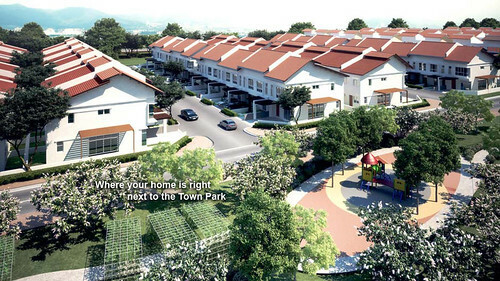 The master plan is based on the developer’s LiveLearnWorkPlay philosophy that emphasizes a wholesome and balanced way of life. 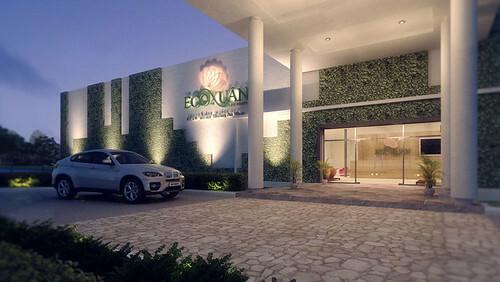 Rollover the plan and discover what’s in store for you at EcoXuan. 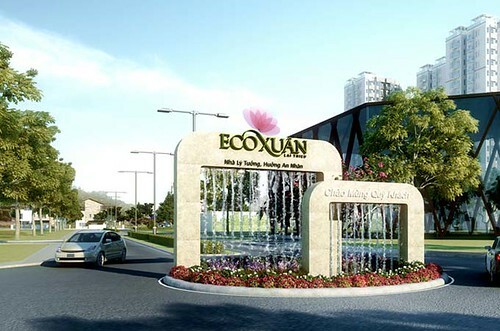 EcoXuan is strategically located along Highway 13, just 16 km north of Ho Chi Minh City. 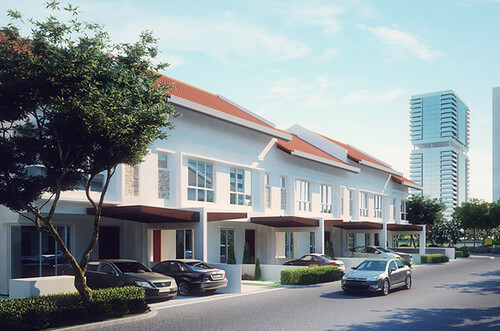 It is easily accessible from Ho Chi Minh City along National Highway 13. 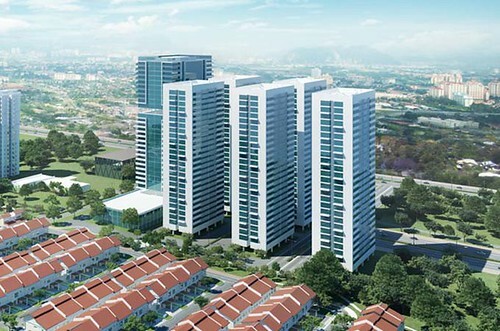 In the near future, access will also be available via the soon to be completed Phu Lung Bridge, connecting Lai Thieu Town to District 12. 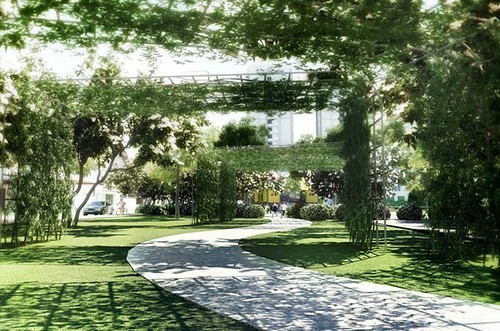 That fresh, new life you have always desired awaits you at EcoXuan, a signature enclave at the northern gateway of Ho Chi Minh City. 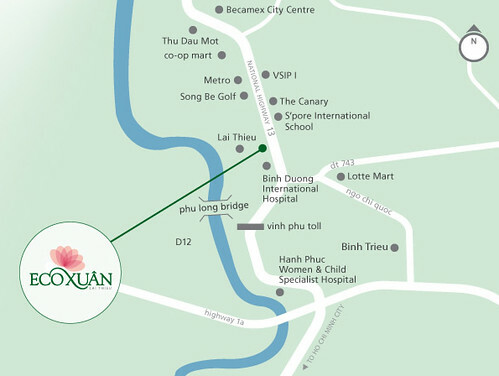 Emerging from Lai Thieu’s fertile fields, EcoXuan promises a holistic and sustainable lifestyle in a lush garden setting. 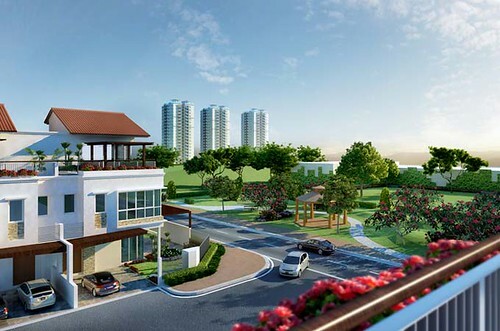 From beautiful homes to resort-style amenities and comprehensive services, everything is in place for you to LiveLearnWorkPlay in a brand new way.